What a young person can control however, is the way they respond to pressures and disappointments. For example, they have control over what they do between the time they receive those Trial results, read this article perhaps, complete their final examinations, and put the finishing touches – the refinements if you like – to their post school choices. In the context of post school choices, this is important: the first and the most important career question is not a question about courses. It’s a question about careers. It’s about what you want to do – not necessarily for the rest of your working life, but certainly for the next stage of life. That means the next eight to ten years. The next study stage, and the working stage to which it leads. That means focusing on what job, trade, profession or occupation you seek. If you plan on going to university to study, or to TAFE, there is no point in choosing a particular course unless that course is going to take you in the career direction you want to go! That would seem self evident. Logical. But the evidence suggests that the logical order is not the order in which most young people consider, or are encouraged to consider, their future. If a young person is uncertain as to their career direction, they have a number of options. If they’re at school, the first point of reference should be the school’s Careers Adviser. 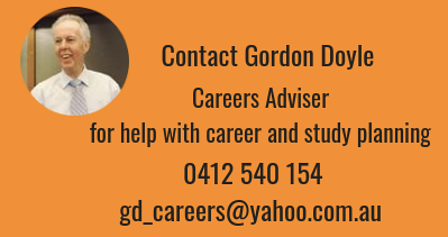 If the school has no Careers Adviser, they could seek the services of a private careers practitioner, or utilise easily accessible and freely available web based career assessment tools such as those found on the MyFuture (www.myfuture.edu.au) and Australian Job Outlook (www.joboutlook.gov.au) web sites. There are others, but these are both dedicated Australian government sites designed to provide up to date and reliable careers assistance. The young person may still need to discuss their assessment results and the career suggestions generated by the online assessment tool with a careers professional, but using tools such as these to begin with is good strategy. It is good strategy because it encourages the acceptance of personal responsibility for the process and places the individual in the driver’s seat of their own career life. After having established some clarity with regard to career direction, the next thing to consider is the course options that will enable you to work towards the achievement of your career goal. This is, by comparison, the easy part! For example, each state based clearing house for university applications – UAC, VTAC, QTAC, SATAC, TISC etc – provides both hard and online copies of their course guides. Each medium has its place, and I like using both. The online course application process is relatively straight forward, even for the first timer. What you need to do is pay attention to the details. Be mindful of application closing dates, additional selection criteria, and care in ordering preferences amongst other things. Don’t be fooled by euphemisms like “Early Bird” application closing dates. Regard them as “on time” closing dates and save yourself a lot of money in the process! When ordering preferences, it is important to ensure that the order reflects the order in which an applicant would like to be considered for a course. This too, would seem logical, but it is not always the case. For example, in New South Wales, UAC complains every year that after offers are released, they receive phone calls from students who may, for example, have received an offer to their first course preference, but are disappointed – or worse still, distressed! You would think the applicant would be delighted, but they say they would have preferred an offer to their second preference! It doesn’t make sense, does it, but what the student has done is preference their courses in descending order of ATAR. Forget the ATAR! Your first preference should be the course in the institution you most want. The second, the course in the institution you most want in the event you don’t receive an offer to your first preference – and so on until you have exhausted your preferences. Make sure at least one low order preference reflects your fall back position. There are other things you need to consider after receiving an offer, but I shall save these for a later article. 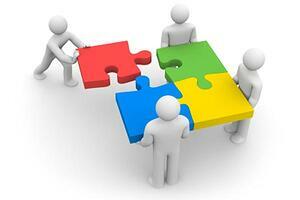 Considering things like accepting an offer, deferring an offer etc., can come later. For now, I hope the foregoing selective summary of steps in the process will be helpful to those considering their future beyond school. After the NSW Higher School Certificate - What's next?